Early each morning in the Andes of northern Chile, more than 60 geysers and hundreds of fumaroles spew hot water and steam as the sun starts to rise. The El Tatio geyser field, located just a few miles from the Bolivian border, is a spectacular sight for those who make the trek. 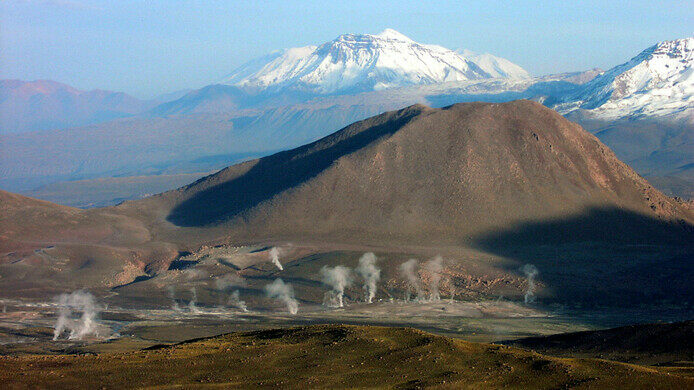 At 14,173 feet (4,320 meters) above sea level, it’s a dreamlike high-altitude location surrounded by stratovolcanoes that form part of the local geothermal system. 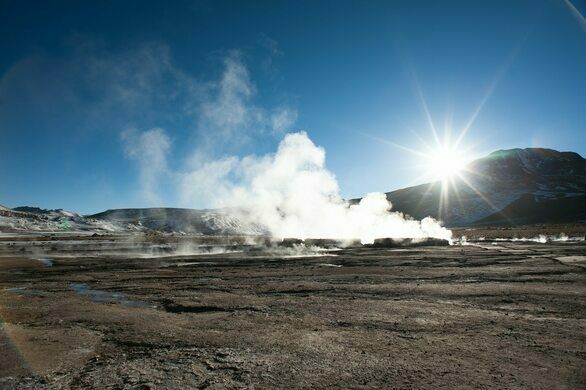 El Tatio covers an area of 12 square miles, with geysers, boiling water fountains, fumaroles, hot springs, mud pools, and mud volcanoes seeping steam across its surreal expanse. It’s the highest geyser field in the world, the largest in the southern hemisphere, and the third largest in the world after Yellowstone in the U.S. and the Valley of Geysers on the Kamchatka Peninsula in Russia. 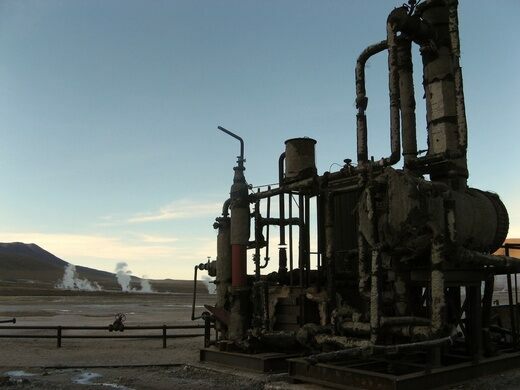 Both the Chilean government and private companies have had a close look at El Tatio over the last 50 or so years, with the idea of harnessing the geothermal energy. 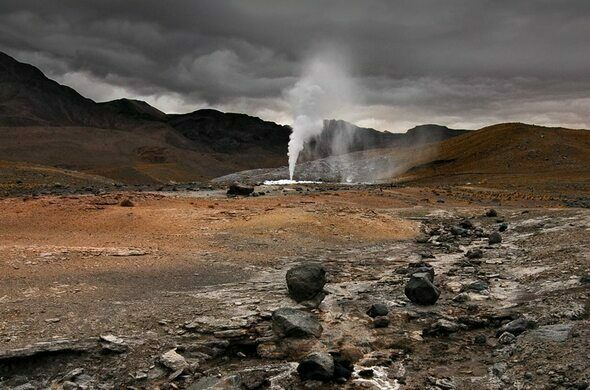 So far, however, El Tatio’s relative remoteness and environmental concerns have stalled any geothermal power projects. 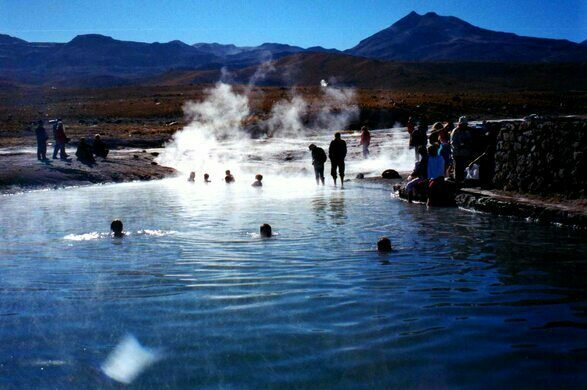 Despite the best efforts of energy companies and wannabe Martians, tourism remains the main business at El Tatio, which was declared a protected area in 2010. 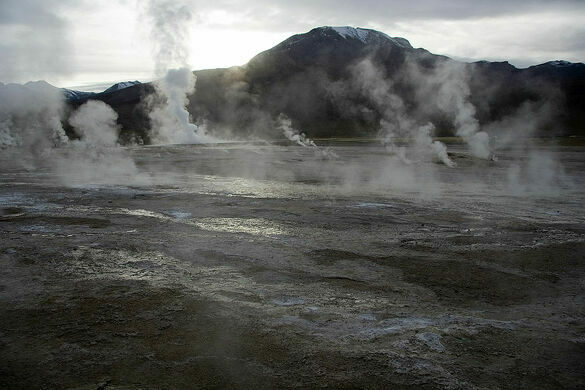 Visitors arrive in the early morning to see the geysers shoot steam into the air, a sight most clearly visible between 6 and 7 a.m. A certain amount of caution is advised, as bleary eyed tourists and boiling pools of water don’t tend to mix too well. Tread carefully, as numerous burn injuries and some fatalities have been recorded at El Tatio.